When the Illinois Racing Board (IRB) meets Tuesday, it will consider race date proposals that could drastically alter the state's racing landscape, according to a report in the Chicago Tribune. 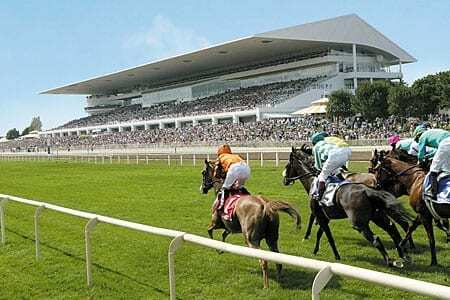 Arlington Park has requested 2012 race dates that would eliminate Hawthorne Race Course's spring meet and instead channel revenue from dark-day simulcasting on out-of-state racing during the first four months of the year into purse money for Arlington. Under Arlington's plan, the Chicago thoroughbred season would be reduced to four days weekly during and April 30-Sept. 30 meet at Arlington and five days weekly at Hawthorne from Oct. 1-Dec. 31. This would create two conspicuous voids on the April calendar – the absence of the Grade 3 Illinois Derby, the state's only Kentucky Derby prep, and Illinois Champions Day. Hawthorne management and the Illinois Thoroughbred Horsemen's Association are fighting the change, contending that taking away the spring dates will add to unemployment and create hardship for those who reside at the track during the meet. Arlington and its parent company, Churchill Downs, maintain that unless the board grants their proposed date request racing in Illinois will be on its deathbed because of severely reduced handle. This entry was posted in The Biz and tagged Arlington Park, Hawthorne Race Course, Illinois race dates, illinois racing board by Paulick Report Staff. Bookmark the permalink.